I love when I have the opportunity to refresh new skills and learn new ones. 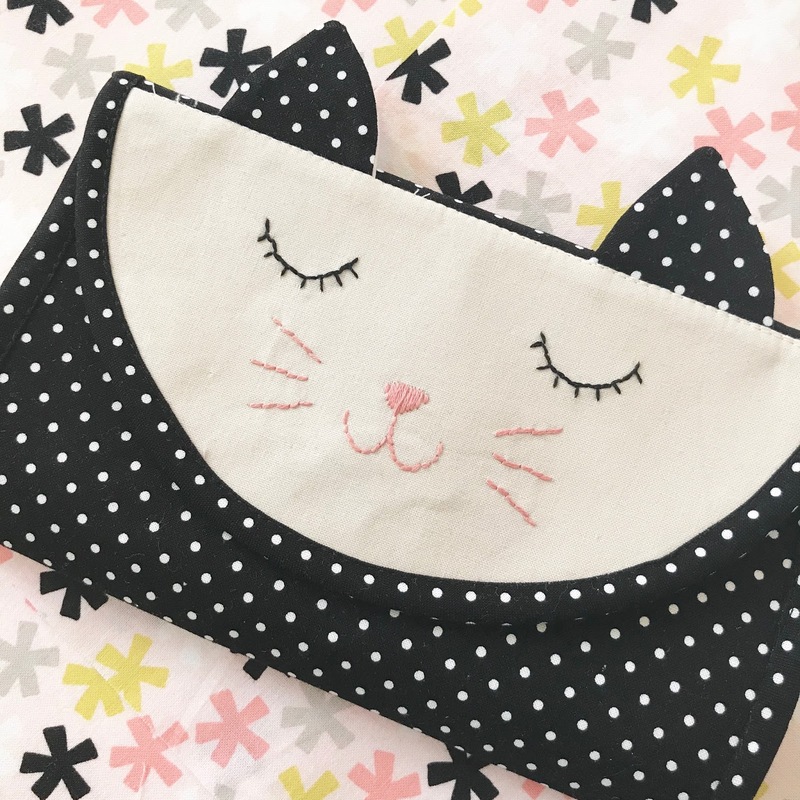 This Kitty Caddy Clutch by Fat Quarter Shop and Stacy Iest Hsu gave me all sorts of opportunities! It's been a long time since I've made my own bias tape, and even longer since I've done hand embroidery. It was nice to discover that, with a little bit of practice, my abilities came back nicely. 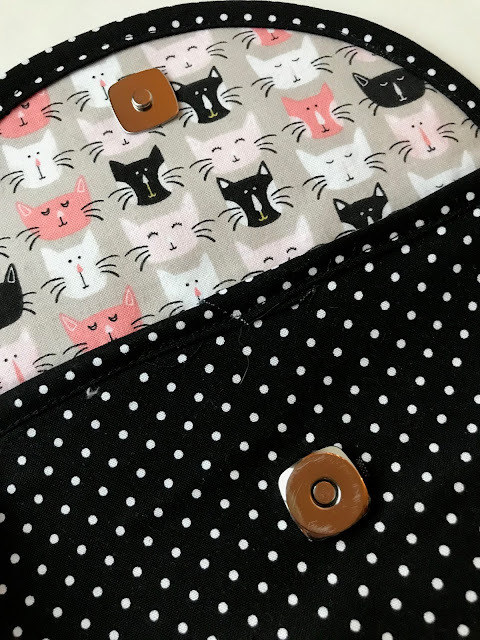 Rather than using velcro or a traditional snap, which the pattern calls for, I knew that I wanted to use a magnetic snap for a more professional look. I was surprised how easy they were to use. The most important part is making sure that you have everything lined up correctly, because once you make those little cuts into the fabric for the brad attachment to go through, there is no going back! 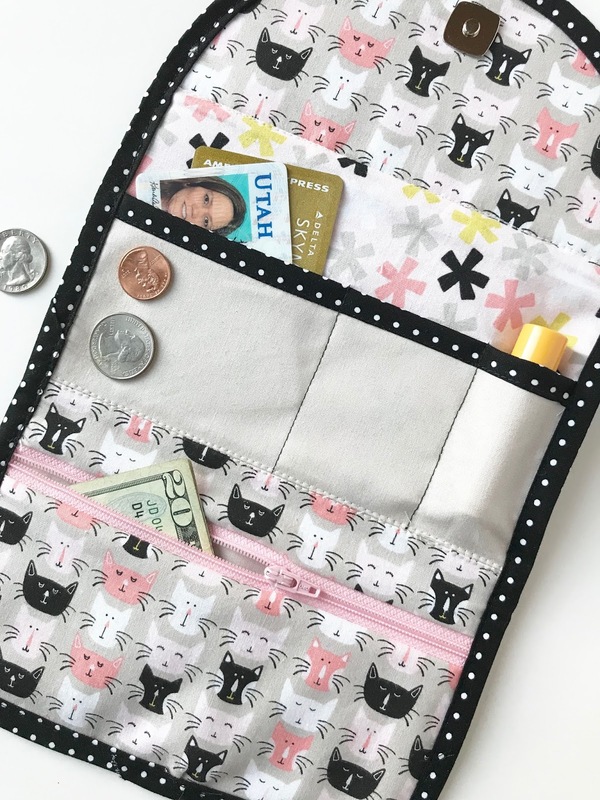 Although the pattern was originally designed as a sewing caddy, with a sweet little mouse that acts as a pin cushion, I made mine to use as a wallet. It's just the right size to hold all of the necessities when you're on the go. I have "feline" that my cat obsessed daughter is going to love it! You can find the Kitty Caddy Clutch pattern on the Fat Quarter Shop blog.